Indonesia's election commission, the KPU, will operate more than 800,000 polling stations. How do you organize an election that spans more than 17,000 islands and hundreds of thousands of local candidates? As voting concludes in the world’s third largest democracy, Indonesia, the scale of the operation is breathtaking. With parliamentary and presidential elections held on the same day for the first time, April 17 is one of the biggest single voting days the world has ever seen. Two candidates are vying to become president: incumbent Joko Widodo, or Jokowi, and Prabowo Subianto, a former general of the Indonesian army. Jokowi pipped Prabowo to the top role in the 2014 vote, and if the polls are correct, looks likely to win again. Elections are often an emotive topic, stirring up conflicting ideas about electoral law, religion, race, ethnicity and money. And they are logistically challenging for such large countries, requiring vast numbers of officials and tight security to uphold their integrity. Indonesia is holding parliamentary and presidential voting on the same day. 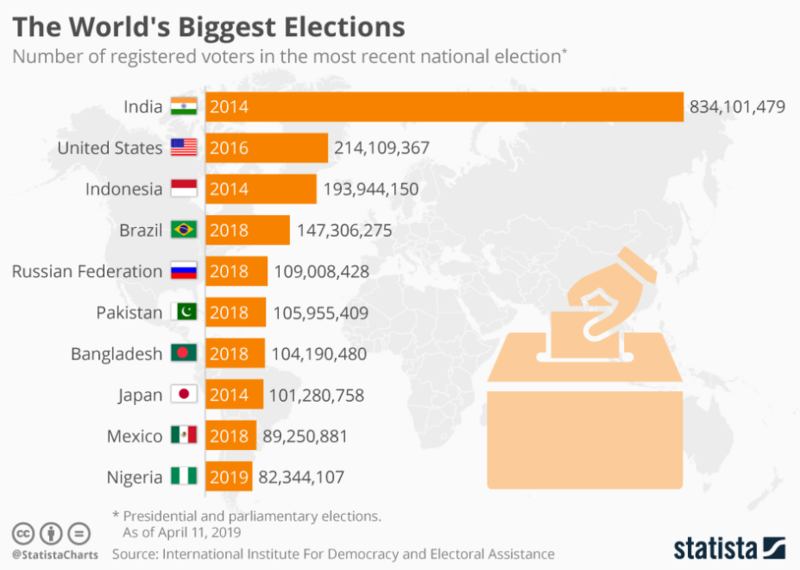 While India and the US have larger numbers of registered voters, they spread their voting process out over a number of weeks or months, leaving Indonesia with the most people voting on the same day. The nation’s election commission, the KPU, operated more than 800,000 polling stations, manned by six million temporary election workers, with each station catering to as many as 300 voters, according to thinktank the Lowy Institute. 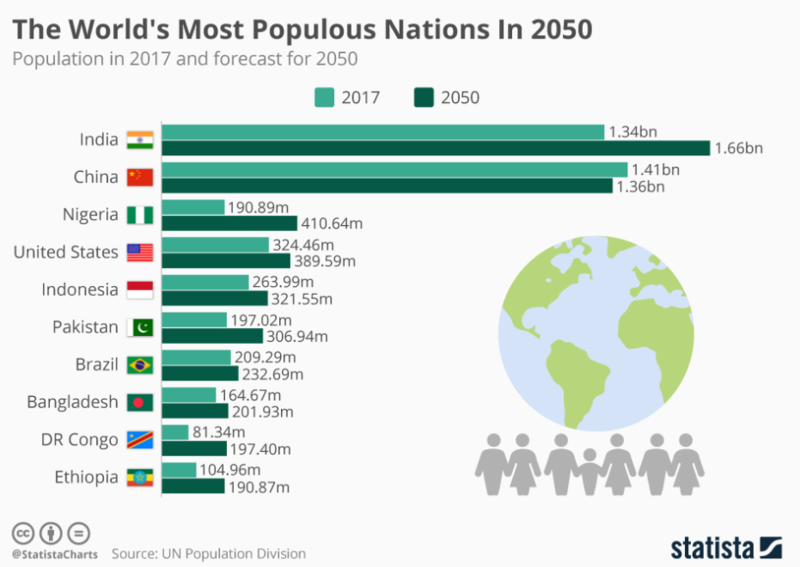 Indonesia is the third largest democracy in the world, and is growing, with the UN predicting the population will swell by 2050. While this year’s elections will see no compulsory voting, the day is a national holiday, sometimes called a “festival of democracy” and data from previous elections shows consistently high turnout, roughly 70%, compared with around 56% in the 2016 US election. The winner faces some economic challenges. While the nation’s economy is predicted to expand by more than 5% this year, it faces headwinds from trade tensions between its two largest trading partners: China and the US. But the country has a youthful population wielding at least 100 million smartphones on its side, bolstering its tech start-up scene. Ride-hailing company Go-Jek is one of the most high-profile examples of Indonesian 'unicorns', or start-ups that reach a billion dollar valuation. 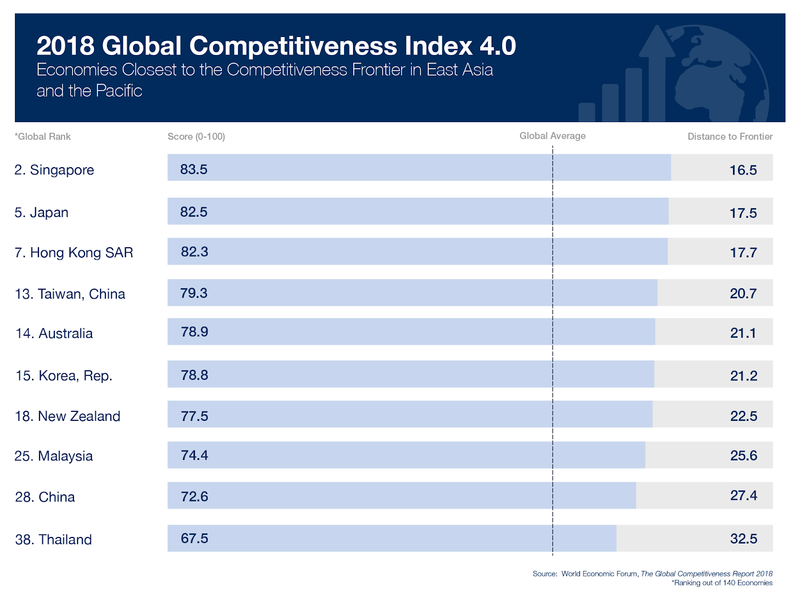 Globally, the nation ranks 45th out of 140 countries in the World Economic Forum’s Global Competitiveness Index, with room for improvement in all areas ranked, and particularly in innovation and labour markets. The result looks set to be the beginning of a policy journey for the victor.